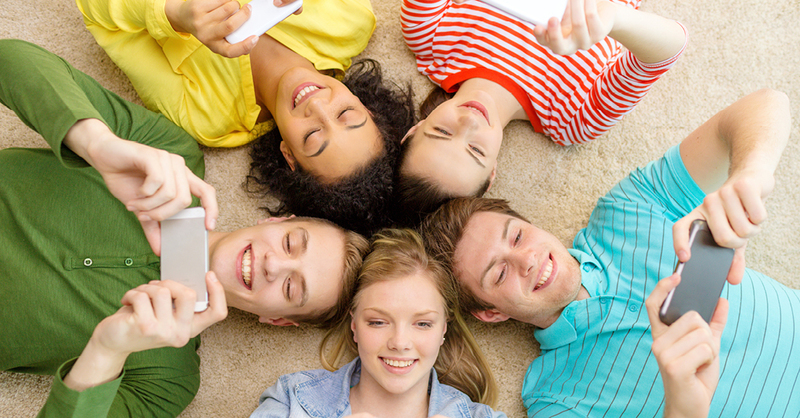 Android to iPhone; iPad to tablet, or any combination of mobile devices can be recharged easily and quickly through unique social mobile charging community. Many have dreamt about it and some have even tried it. Now Niper’s system outsmarts phone battery limitations and creates the world's first social mobile charging community. The world’s first cross-platform phone-to-phone mobile device power charging system has been launched this week. The unique Niper power charging system allows mobile device users to share battery power with each other irrespective of the platform or type of mobile device which transfers or receives power. The Niper system enables an Android owner to transfer power from a smartphone or tablet to an iPhone or iPad, or vice versa. Friends and family running out of power on their mobile device can quickly and easily recharge by hooking up with a lightweight, attractive wearable Niper bracelet, or a compact Mini-Star hub, which allows a number of devices to be recharged at the same time. The on-phone Niper app alerts registered users when another Niper user is nearby, effectively creating what is being called the world’s first social mobile charging community. It also gives the user total control over the percentage of battery power shared, and shows how long the transfer will take between devices. He added: “This is achieved via an attractive bracelet or a Mini-Star hub. They act as a bridge between devices using a mini-USB or lightning cable depending on the platform and deliver exactly the amount of power needed under full control of the user. “Unlike other power transfer systems, ours has few restrictions regarding platform or time taken to transfer. Our solution maximizes power transfer and depending on the type of mobile device involved will normally complete it within minutes. Developed by Nipe Technology Ltd, the patent-pending technology and mechanics were designed to create a simple, fun experience he said. This week, in a program to raise funds for further development, Niper launched a world-wide crowdfunding campaign through Indiegogo (http://igg.me/at/niper). 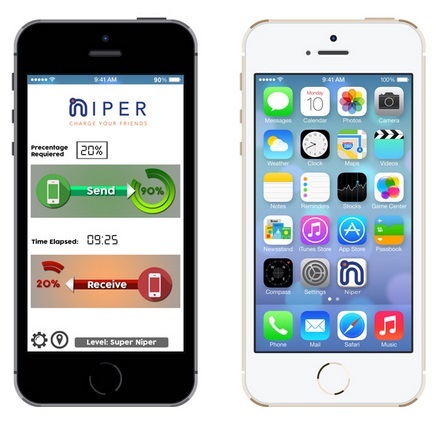 Niper, developed by Nipe Technologies Ltd., is a start-up company which has developed a patent pending power sharing technology and system enabling users to share battery power with friends and family on both iOS and Android mobile devices. The technology and mechanics inside Niper were designed to create a simple, fun experience. These tools let any Niper user share and deliver the charging power that others need – quickly and easily. Users always have full control over how much battery power they wish to share, and how much you save for their own use.